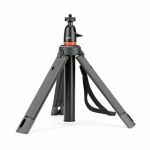 Small camera tripod works in 4 modes to meet the needs of creative photographers. 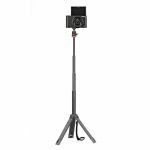 The Telepod 325 is designed to meet the needs of creative photographers. 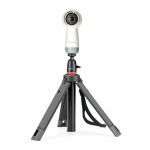 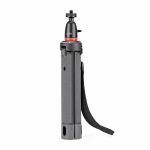 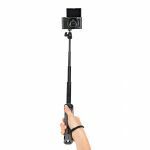 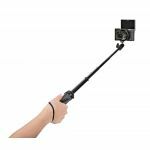 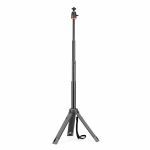 A more compact version of our TelePod PRO, this entry-level handheld tripod/vlogging stick works in 4 modes (selfie stick, monopod, elevated stand or table tripod) for maximum versatility. 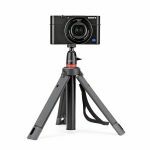 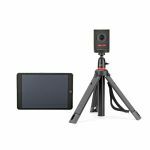 Supports compact point and shoots, 360 and action cameras (additional pin joint mount required). 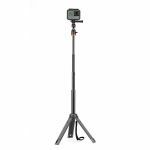 The included locking ball head allows for unique angles and levels the shot when placed on uneven ground. 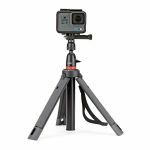 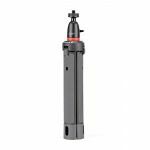 Works with multiple JOBY mounts including GripTight ONE, GoPro Mount, Flash mount or any ¼”-20 device under 325g. 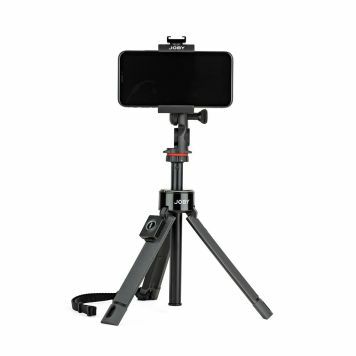 Great for mounting a lightweight microphone or small LED light!